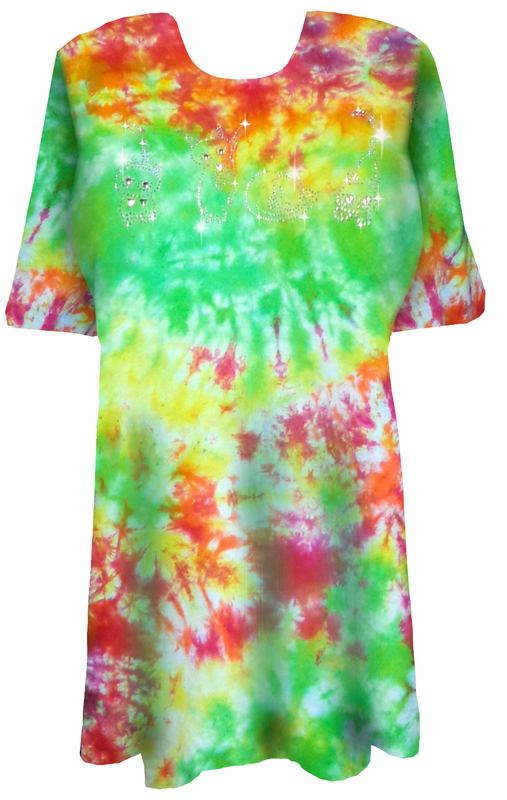 Fun green, red, and yellow tie dye dance around the pretty kitties on this plus size tshirt. They shine and dazzle in the light, perfect for any cat lover! This tie dye plus size t-shirt showcases Sparkly Glittery Four Cutie Kittens in pretty rhinestuds. Each t-shirt is unique! They are all 100% cotton, short sleeve, round (crew) neck, straight cut unisex t-shirts.